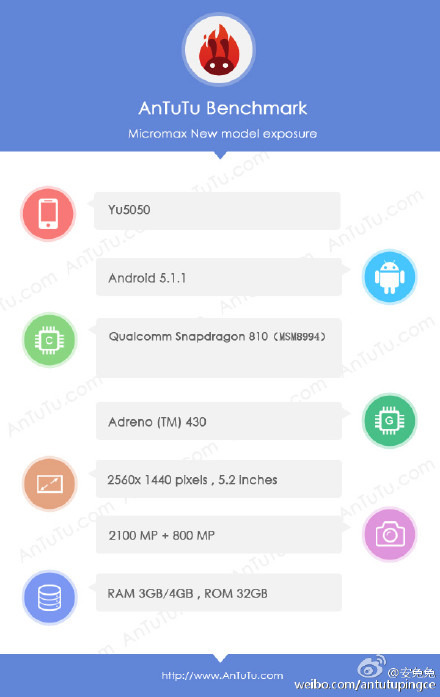 Micromax’s upcoming smartphone YU YU5050 with high end specs has been surfaced on Antutu Benchmark and Zauba. The new MMX YU Yu5050 would be launched today by company official. 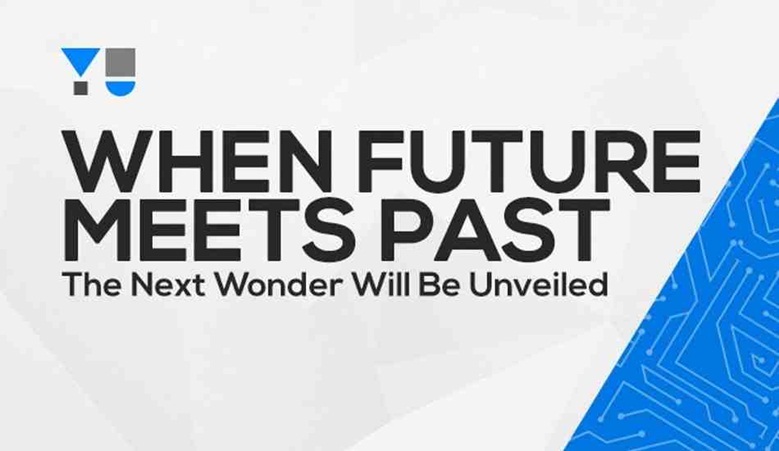 It will the the company’s first smartphone to feature Quad HD 2K (QHD) resolution 5.2 inch display. If source is to be believed, the Yu Play GOD Yu-5050 features 4GB of RAM to take on its competitors : OnePlus Two, Samsung Galaxy S6, Sony Xperia Z5 Premium, Lenovo K3 Note & LG G4. The Micromax YU YU5050 runs on Android 5.1.1 Operating System and come in two variants : 4GB / 3GB ram. The rear camera is boosted with 21MP sensor with 4K video recording support and the front is set to 8MP.It is powered by Qualcomm Snapdragon 810 MSM8994 processor coupled with Adreno 330 GPU. It would might feature a fingerprint sensor and NFC. The rest of the specifications includes 4G LTE WiFi, GPS and micro USB with OTG. The high end flagship version scored 64938 points in benchmark. It comes with 32GB of inboard storage and there is no info microSD card slot for memory expansion. Battery capacity is also not known yet. Company would also launch YU YU4711 with Snapdragon 410 processor and 1GB of RAM, Bluetooth Speaker and 10000mAh power bank YUAPB1000. The Yu Yu5050 would be priced under 26000 in India.